I was just wondering how many days after your receipt date has appeared on the USCIS site should you expect something in the mail regarding next steps? USCIS mail can take 7-21 days to arrive by USPS mail. My case receipt SRC**********, received date 24/12/2018 filed by my US citizen spouse, can you predict what is the expect date of case approval will be. My country of origin is Pakistan. Also what do you mean by “best case” in above predicted rows. Please use the dates mentioned above to eatimate your case approval. i applied for my husbad i130 USCIS received my aplication on sep 04 2018 texas service center. my husbad is in mexico on 04/18/2019 uscis aproved our petition. uscis send our i130 to NVC.How many more months we have to wait for the interview? You should get an interview call within 1-3 months. The data you provided best case approval is 23rd September 2015 for permanent resident filing for spouse in California service. So my case was filed on 25th September 2015, will it be approved within this 2-3 days? Best case approval is applicable for 10% of cases of the total pending cases. It is possible that your case also gets approved and becomes a model for best case but its not guaranteed. My suggestion is to take the best case approval date as the indication that cases have started being approved for this date. Hey anil today i got a mail concerning that my i130 case is currently being adjudicated. It will take 45 days to receive notice of action. What does it mean? Adjudicated?? Did you raise a service request for your case? Then, this message simply means that USCIS will respond to your service request in 45 days. Is it a bad news or good news!? There is no news in this. No need to be scared. What’s the US citizen filing for spouse visa processing time?? Receipt number starts with WAC17******** . If this is California Service Center, then USCIS does not share the timings for your case. My Parents have filed my F3 Petition in June 2012 , While checking processing time it states that current dates are Aug2006 or June 2007. First and the foremost question is how much time do you think it will further take for our application to be finally approved and processed ? We are having visitor visa for USA as well, and when i had checked Processing time for Petition for Alien Relative (I-130) at California Service Center– it states 81.5 Months to 106 Months	and current date is August 10, 2010, lets say that after two years or one and a half year the processing time date comes out to be July 2012 ( i.e after our application date) , can we proceed further and apply for I-485 for Adjustment of status by travelling to USA on visitor visa. Your words shall be highly appreciated . Is your I-130 already approved? if yes, then you need to look for your case’s Green card family priority date in monthly USCIS visa bulletin. I do not recommend travelling to US on B1 visa and then filing i485. What does I-130 approval means. Does this means allocation of case number ? or do consulate intimate petitioner or beneficiary about the approval of I-130. 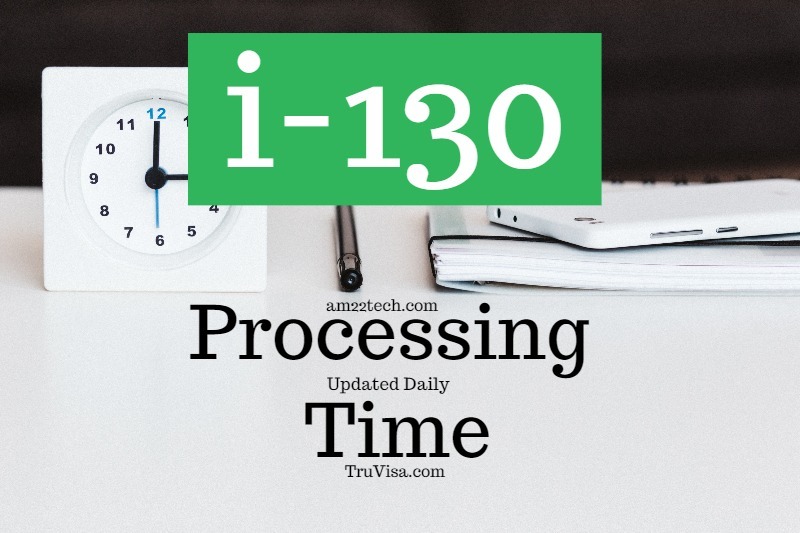 The i130 application is a sponsorship application that your relative files with USCIS. If USCIS approves this application, then you become eligible for applying US green card. You can check the status of your I130 application using the receipt number online. Hello Anil I see the Texas service center for citizen filing for spouse best case approval is sept 10 2018, my case was received sept 10 2018 how come uscis still did not approve it? Best case approval is only for about 10% of total cases. Your case may or may not be approved by this date. Any idea when my case should be approved? Please use the estimations given above for your case. 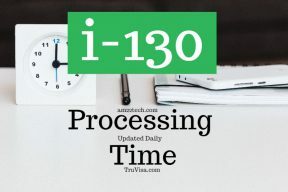 If your I-130 is already approved, then you are probably waiting for your Green Card country priority date to get current.